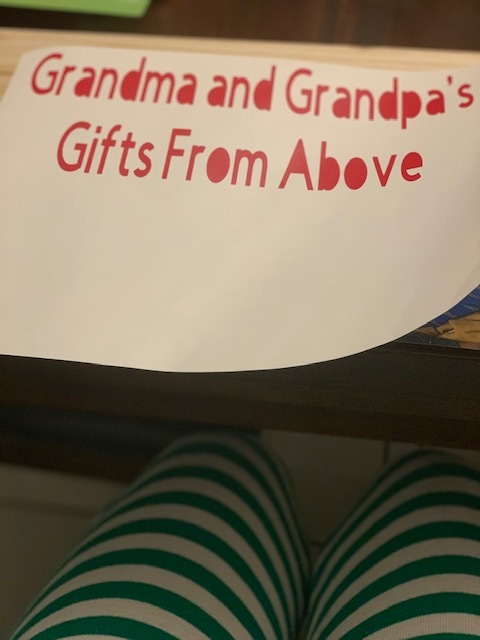 I love crafting, so I was super excited to be able to finally use my cricut to create a special DIY gift for my parents. I had been wanting to create a wooden photo display for my mom for a while. My husband and I decided last year that we were not going to exchange gifts anymore, but I just couldn’t help but make something for them. Originally I wanted to engrave the wood, but I couldn’t find a way to do it. 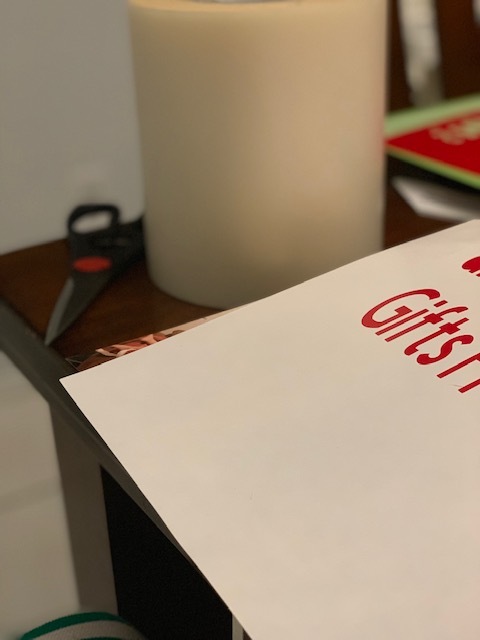 Here I share how I created this cricut photo display. This post may contain affiliate links which provide a small compensation if a purchase is made through them. 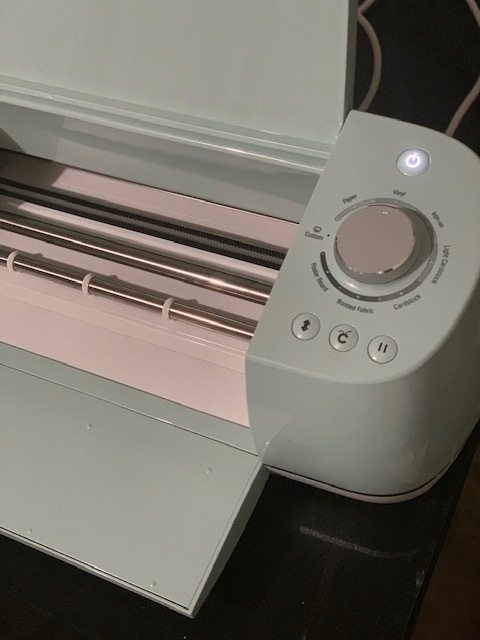 Cricut Explore Air 2: This is great for all DIY gifts and crafty things. I was so happy when I was gifted this a couple years ago. I have made iron on decals for onesies, wall decals, and even addressed envelopes with it! The software it comes with has lots of ideas they share of things you can create. I also love looking on pinterest and online for different things you can do. I am in a few groups on Facebook where people will help you if you get stuck trying to make something. Hanging Pallet: I got mine on sale at Michael’s using a coupon for a couple bucks, but I linked a similar wooden one. I love that it came conveniently already with the twine string attached for hanging. It is the perfect size for displaying a few small photos on the wall. 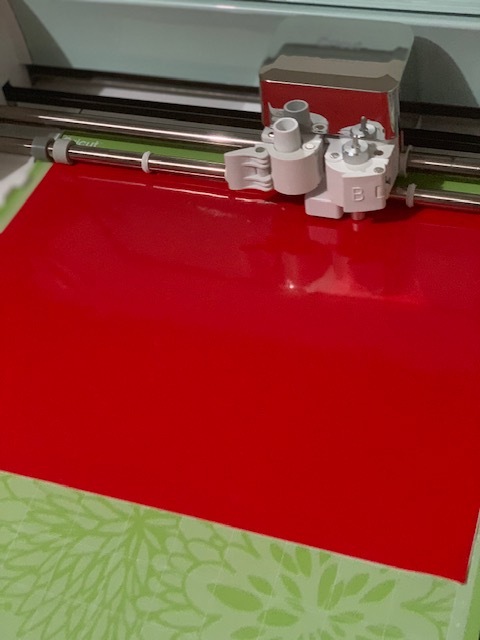 Permanent Adhesive Vinyl: Since this was kind of a last minute project and I was winging it, I didn’t plan well for the exact logistics of having the specific color I wanted. I also originally wanted to engrave the wording as I mentioned above. Fun side note: I started out and almost used the iron on vinyl on accident (you can tell I haven’t done this in a while). 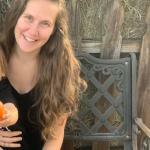 I linked the brand I have used, and it works great! 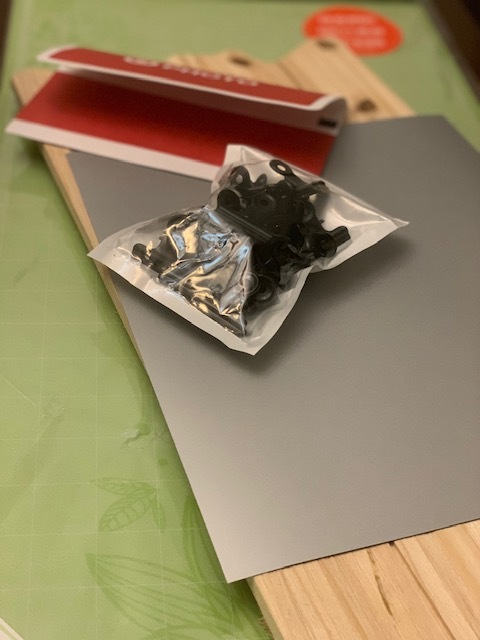 Weeding Tool: The tool set may come with your cricut, but if you already have one and don’t have the tools you should get it! The weeding tool will come in handy anytime you create something with vinyl. It makes it super easy to pick out the vinyl between letters. Metal Clips: We couldn’t find these at Michael’s or Office Depot, so I just ordered them off amazon. These worked well, and have a strong grip for the photos. Photos: I selected photos of our family and ordered them online at Target. They print photos within the hour. Keep in mind the smallest size you can order is 3.5×5 inches. I was able to stagger six different ones. Cricut Mat: It is always nice to have an extra one in case you make a mistake with one you already have. The mat is great for when you’re planning out the size of the text you want to print. I put my pallet up next to it to see how big I wanted the lettering to be. Transfer Tape: This is super helpful when applying the vinyl to any surface to ensure a smooth transfer. 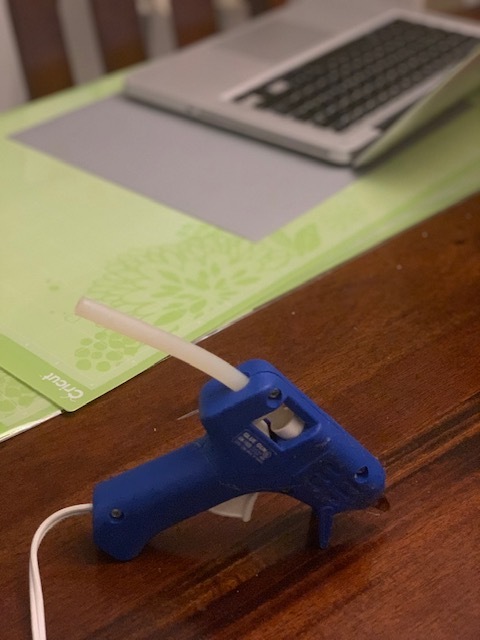 Hot Glue Gun: I used one that I’ve had for years. Make sure you have extra glue sticks if you need them. Computer: You will need a computer or smartphone to upload and customize the text you want to use for the pallet. Scissors: I used the scissors to cut the transfer tape after I placed a line of writing on the pallet. 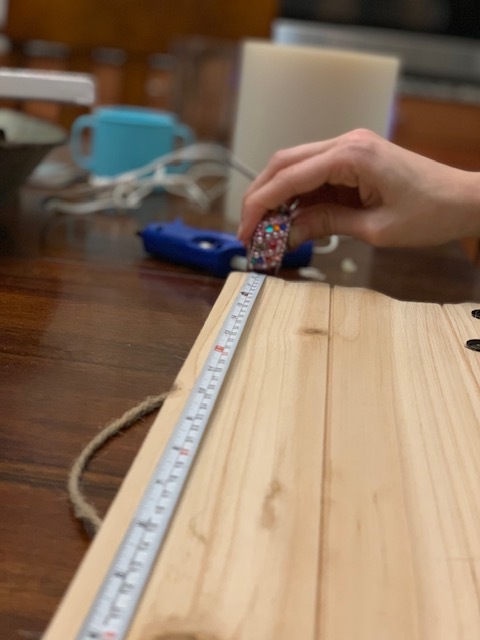 Measuring Tape: If you don’t want to use measuring tape, you can always use the numbers on your mat to make sure you place the letters evenly on your pallet. Screws/Screwdriver: I didn’t have any, but would suggest that you find some small enough to screw into your pallet. The hot glue does not stick well enough to keep the clips stuck on as you exchange the photos on the pallet. 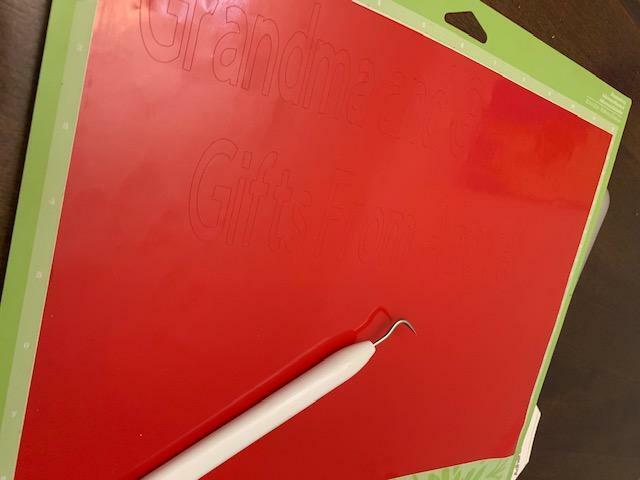 To begin your DIY gift, go online to Cricut Design Space and login. Click on new project, and select the font you want to use for your lettering. If you don’t have the Cricut access membership, make sure you choose one of the free fonts or you will have to pay. 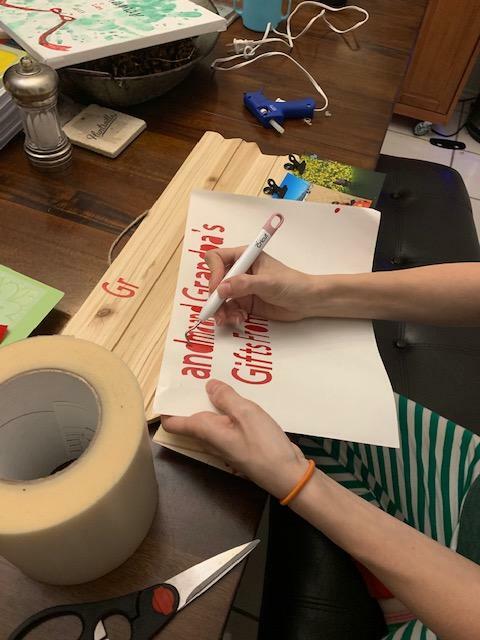 Type whatever custom message you want your sign to say. 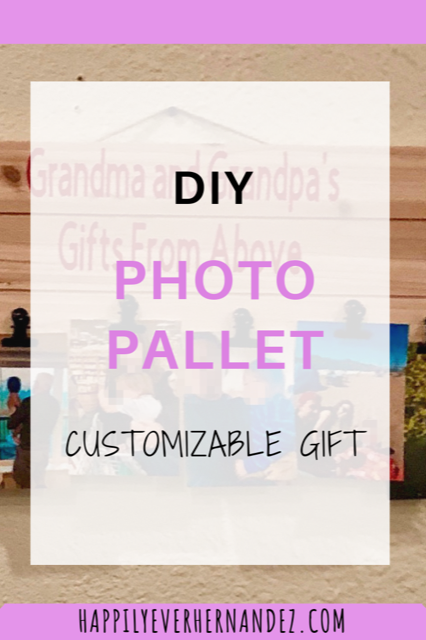 Next, you will need to look at your pallet and decide how big you want the lettering to be for your DIY gift. 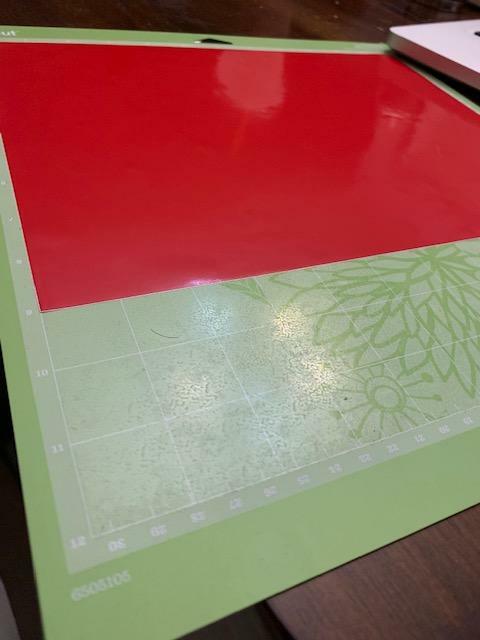 You can use the measuring tape or the cricut mat to estimate the size you want to cut the vinyl. After this, I adjusted the size of the text in the software to match the size I wanted to print. 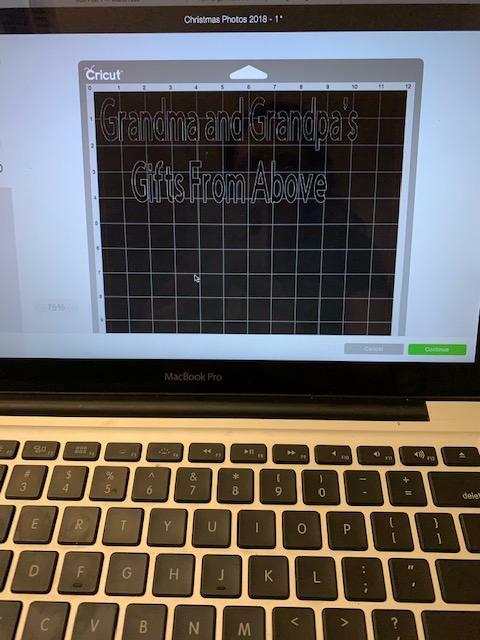 The next step to create your DIY gift with the cricut is to plug in the USB attachment from the cricut to your laptop. This enables you to cut your design. 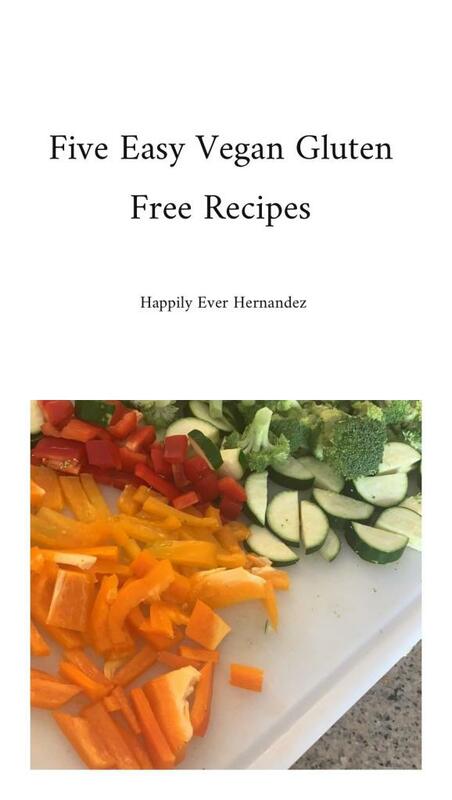 The software will prompt you with specific instructions on how to begin. Make sure you have the cricut turned on and the setting knob adjusted to cut vinyl. 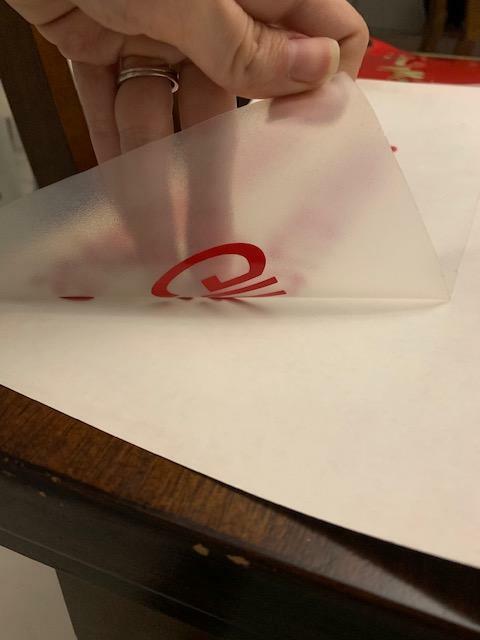 Stick your vinyl on the cricut mat. Make sure you check the dimensions of the lettering so you can place the vinyl accordingly. I placed the vinyl with the backing stuck to the mat, so I didn’t need to cut with a mirror image. 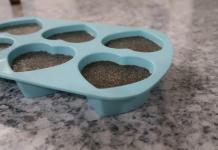 Try to smooth it on so there are no bumps for your DIY gift. Insert your mat into the machine, and press the button to start cutting. If you have never cut vinyl before, you may want to do a test cut to ensure it’s to your liking. It should only take a minute or two to complete. Finalize, by pressing the button to eject your mat. First, you need to peel the backing of the vinyl off the mat. Next, peel the excess vinyl off to reveal your lettering. Finally, you have your printed letters for your DIY gift. 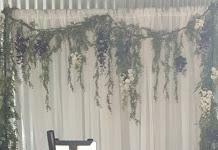 If you have the weeding tool, this process is super fun and easy. All you have to do is use the metal hook to pull out the parts of vinyl that you don’t want (like the center of letters such as ‘a’ and ‘d’). While you do this, you may want to heat up your hot glue gun if you’re using the glue method for your clips. You’re down to the final three steps to complete your DIY gift! I chose to measure the board and lettering one final time to ensure I placed it evenly on the pallet. Then, I aligned the clips and glued them on using the hot glue gun. Personally, I would recommend finding the right size screws so the clips will hold firm through switching pictures in the future. 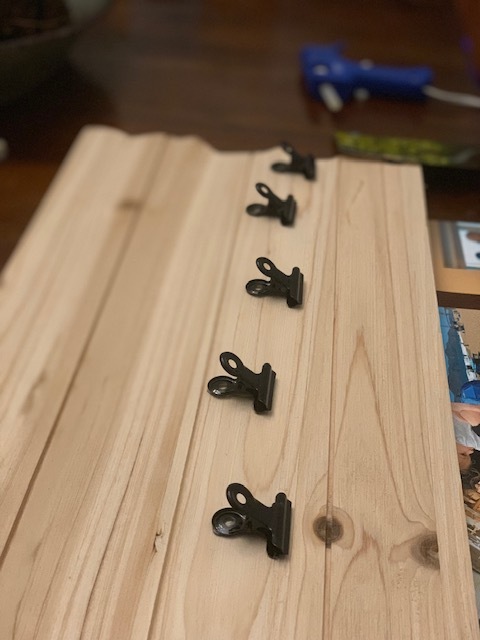 I wanted the pallet to hold six pictures, so I staggered the clips. If you choose to print smaller photos you may want to include more where with larger photographs you could use less clips. 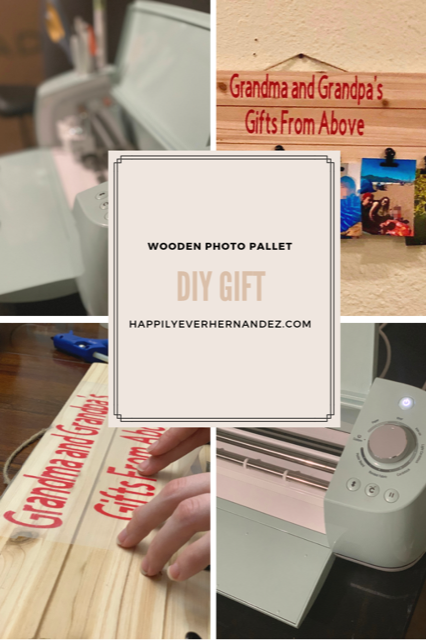 It is up to you to customize this personalized DIY gift as you prefer! I couldn’t find the blog I found a couple years ago that recommended transfer tape, but it is a game changer! All you have to do is measure out the length you need and cut it. 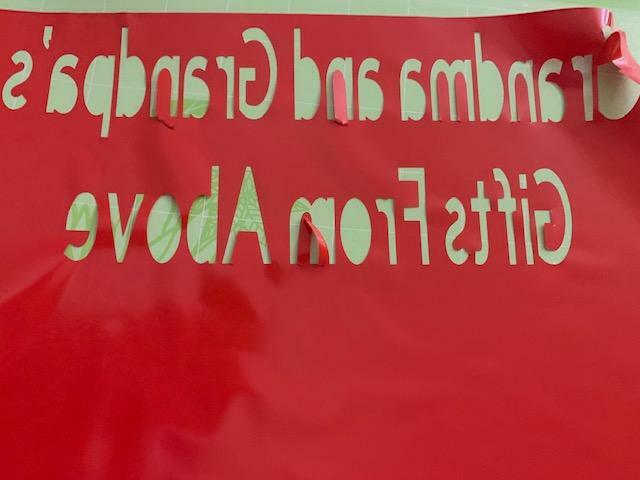 After that, place and smooth down the transfer tape on the vinyl lettering. Subsequently, peel the transfer tape up carefully. I pull it diagonally being cautious to ensure the vinyl is sticking to the the transfer tape. To conclude this step of your DIY gift, place the transfer tape where you would like it to be on your pallet. This is one thing I love about transfer tape. It guarantees that you have a clean finish to your projects. 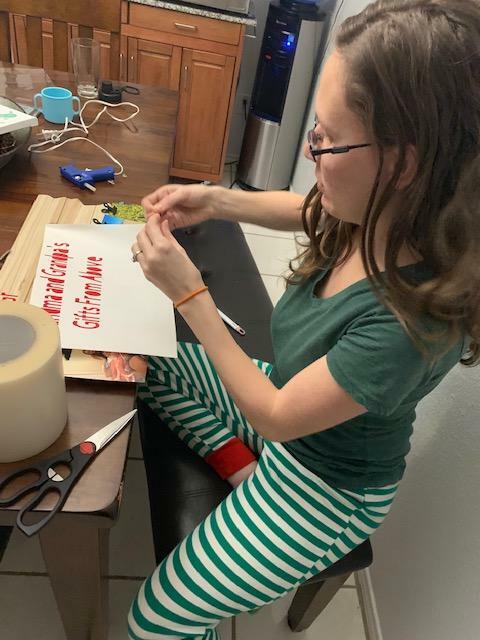 The cricut cuts the letters so nicely and prints them evenly to provide a professional look. Easy as can be! The final step to your DIY gift is to once again peel the transfer tape for the final time. Slow and steady is the way to go to assure a secure product. I noticed that due to the stickiness of the transfer tape some of the wood particles were pulled up from my pallet during this process. Before I pulled up the transfer tape I pressed down on all of the letters to ensure they stuck to the pallet. 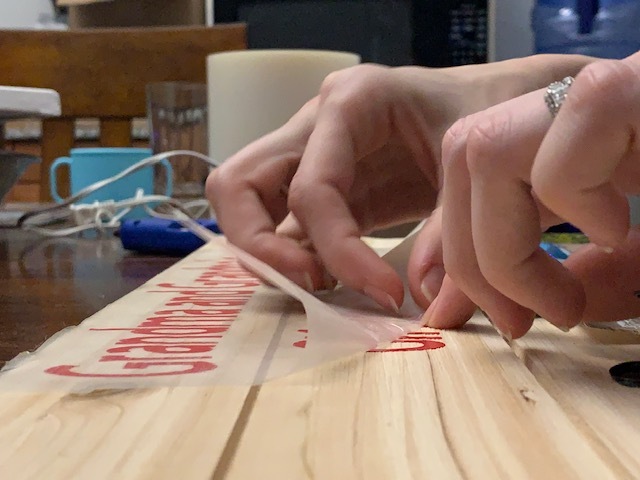 Remember to use the same technique I mentioned above by gradually pulling at a diagonal and pressing down on the lettering to make sure it sticks well. I peeled off the bottom first, then cut the transfer tape and continued to the top set of words. 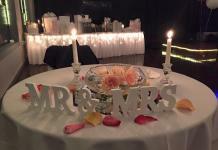 When you’re done, add your photos for the finishing touch! Post in the comments below a photo if you complete this project! 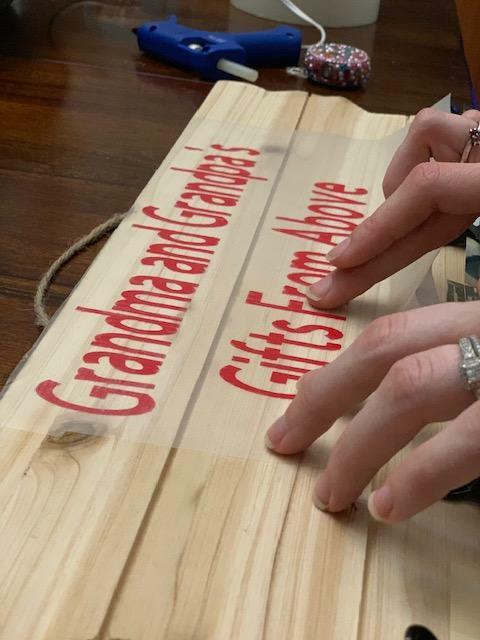 Share this DIY gift with someone who loves crafts and projects like this. 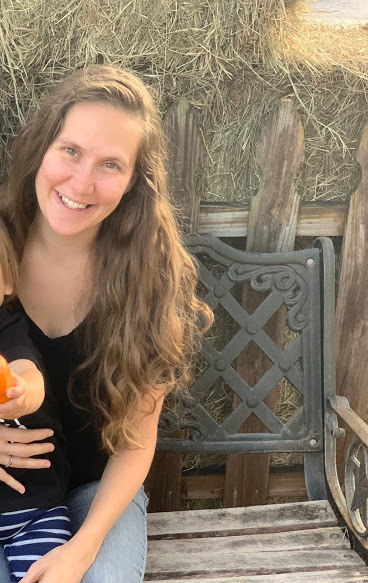 Subscribe and follow my social media for more DIYs in the future, and check out Kaylee’s guest post on how to make soap for another great DIY gift idea. 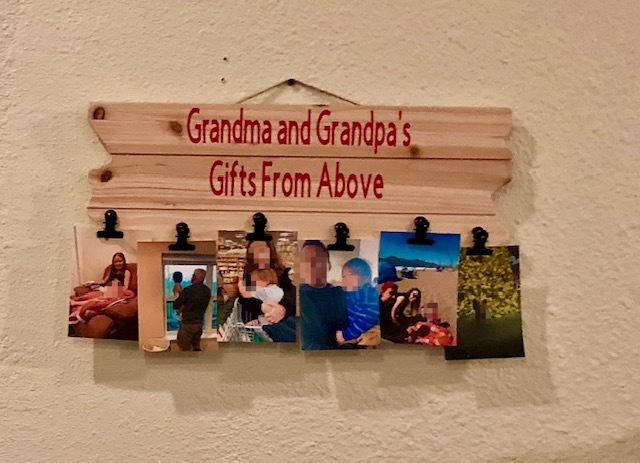 This is an adorable idea for grandparents! I love crafting and have the Cricut on my ongoing wish list! There are so many things I think of on the regular that I could use it for. Great job with the steps, this is so easy to follow! Thank you! I’m so glad I was able to break it down where it’s easy to understand. My parents love it. You definitely should get the Cricut. I’m hoping to use it a lot more this year. 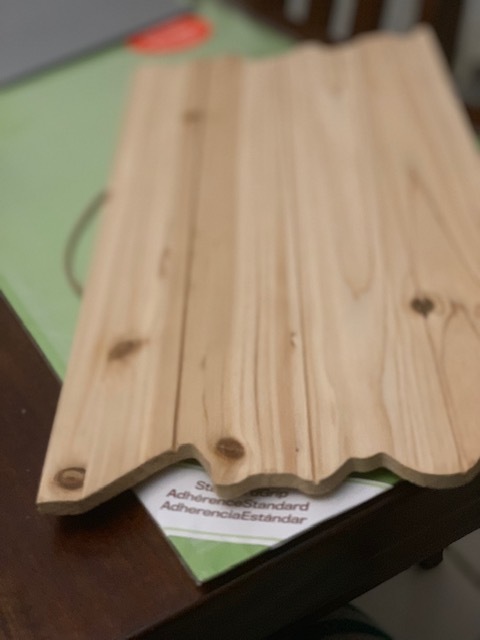 My next DIY is a sign for the front door when my toddler is sleeping. I absolutely love how this came out Sara! I bet they just love it. Thank you! They do. It’s on a special wall with all of his other crafts. 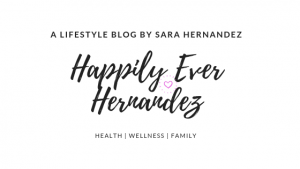 Happily Ever Hernandez is a lifestyle blog aimed to share our families' journey and discoveries in nontoxic, low waste living, natural products, toddler activities, travel, faith, veganism, minimalist tips, and more.